London is a large and vibrant city with a lot to offers travelers. It's a multicultural city that has many unique and interesting neighborhoods. It can also be an expensive place to visit and accommodation is no exception. There is no shortage of hostels around London, and each hostel has it's own style and character. If you're looking for affordability but also want a quiet and comfortable setting, then the hostels below are some of the best. Park Villa is a relatively new hostel that is located in the middle of the old East End. It's a boutique style hostel with a lot of character and it's housed in a Georgian Regency Villa that has an attached coach house. The facility has been nicely restored and it maintains much of its original character and charm. This hostel has all kinds of amenities and perks for guests. There's a complimentary breakfast that is served every morning. There's also a kitchenette that guests can use where you'll find a refrigerator, toaster ovens, and a combo grill/oven/microwave unit. If you want a space to relax, there's a great lounge and tv room. The hostel also offers free wi-fi throughout, coin operated laundry, and an elaborate security system with cameras and electronic entry. The hostel's reception is open 24 hours a day. This hostel has private rooms as well as four, five, six, seven, and eight bed dorms. The dorms have bunk bed pods that offer a bit of privacy to guests. There are also family rooms that have a little more space and privacy. If you're looking for a charming and comfortable place to stay where you can enjoy a good night's sleep, then Park Villa is a great option. A good hostel for solo travellers, female travellers, and backpackers. Astor Hyde Park is located in a quaint part of London just a minutes walk from Hyde Park. Nearby you'll find many great museums including the Natural History Museum. The hostel is also very close to several types of public transportation. You can walk to trains that will take you directly to Heathrow Airport as well as many sights and attractions around the city. In the surrounding area you'll find many great pubs, bars, shops, and restaurants. This is a truly great place to base yourself during your time in London. Guests must be between the ages of eighteen and forty. This is a traditional hostel and it has the welcoming environment that your would expect. They host a variety of social activities so it's easy to meet other guests, but if you want a good nights sleep, that's possible here as well. The hostel has all of the standard amenities for guests including free wi-fi throughout, a great security system, security lockers, luggage storage, and laundry facilities. There's an all you can eat buffet breakfast available every morning for a very small fee (which goes directly to charity). The hostel also has a full kitchen which guests can use to prepare their own meals, a dining room, and common areas where you can meet other guests. If you want to watch a movie or sporting event, there's a large lounge area with comfortable sofas. This hostel has twin and double private rooms available as well as four, five, six, ten, and twelve bed dorms. Both female only and co-ed rooms are available. A good hostel for students, female travellers, and solo travellers. Pickwick Hall is a popular hostel with students, tourists, and backpackers to London, England. It's affordable, clean and comfortable, and it's conveniently located in the Bloomsbury area of central London. 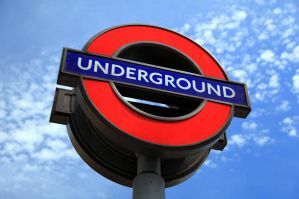 It's just a three minute walk from the British Museum and the University of London, and it's about ten minutes from some of the most popular entertainment and shopping districts in the city. The West End, Covent Garden, Soho, and China Town are all nearby. Despite its central location, Pickwick Hall is found on a quiet and quaint street that is lined with Georgian townhouses. 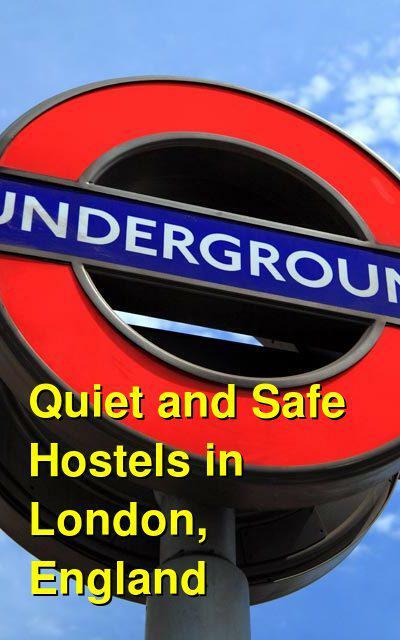 The hostel also offers easy access to Heathrow Airport. Guests can enjoy a continental breakfast that is served every mornings. There's a shared kitchen available where you can prepare your own meals and there's a nice sitting room where you can enjoy cable television and high speed internet. Laundry facilities are also available. The staff here are wonderful and can answer any questions you might have. Spanish and French speaking staff are also available. This is a small hostel with dorms that sleep either three or four people. There are male only and female only dorms available.